The Artist Outreach is an Art-Based Educational 501c3 that Joseph has created and produces. 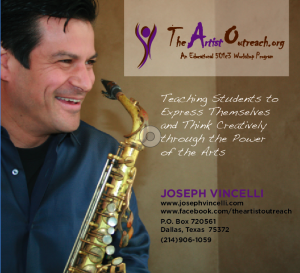 It is to teach students to cultivate Self-Expression and Creative Thinking through the Power of Music and Art. 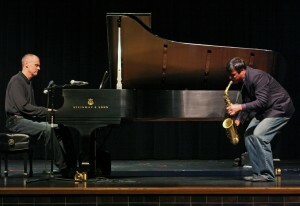 Music (and other fine arts) Workshops are subsidized by individuals and by the business sector. You can support this program by making a donation that goes directly to the program educating students on the importance of creative thinking and self-discovery. Contact us to find out how! Call 214-906-1059.